I really appreciate the references to Hitchcock in De Palma's films. 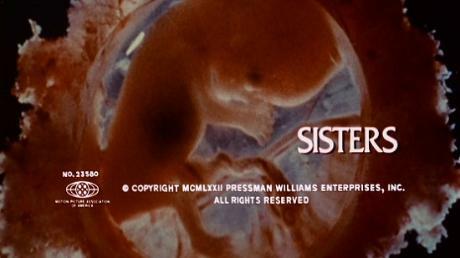 Sisters is very influenced by Hitchcock's work, especially Rear Window and things like that. It was a film that I wasn't really expecting much of, but when I watched it it was great. There's quite a few good twists. De Palma is quite underrated, I think. He's made a lot of real rubbish but he has a lot of really good films in his back catalogue.